At the end of the day, what do you want your brand’s content marketing to accomplish? You can list goals like boost conversions, generate leads, and increase sales, but really, the major objective of content marketing should be to establish a connection with your audience. People who feel connected to a brand on a personal level are going to be more loyal to that brand. How do you connect? You can use influencer marketing, interactive content, or the content marketing trend of the moment: user-generated content marketing. User-generated content, or UGC for short, is videos, pictures, reviews, etc., created about your brand by the people who matter most — your customers. When it all boils down, UGC is among the most trusted forms of marketing and advertising out there. Two-thirds of people surveyed by Nielsen stated that they trusted the online reviews and opinions of others, even if they didn’t know the people. A survey conducted by Reevoo found that 60 percent of people found content produced by peers to be very influential. Why’s UGC so trustworthy? It has to do with sincerity. Imagine you love a brand of cereal. You eat it everyday, you’re always on the lookout for new varieties of it, and you’ve experimented with different recipes using it. If you were to create a video talking about your love for that cereal or making a dessert from it, your enthusiasm for the brand might be catching. Others are going to get jazzed up about that cereal because you’re so into it. For that reason, UGC is slightly different from influencer content. While back in the early days of influencer marketing, influencers might have been super cautious about brands they promoted, or might have only worked with brands they loved, the amount of money involved in influencer marketing today (many brands have budgets of more than half a million dollars, according to the 2017 State of the Creator Economy study) has taken some of the sincerity out of the equation. While UGC is usually free for brands, meaning you don’t have to pay people for the photos or other content they share, you do want to offer some incentive so that they feel inspired to create. One incentive might be a contest. Ask people to submit photos featuring your product and offer something for free, such as a trip or a lifetime supply of your product, to the winner. Another incentive is a sense of community. People want to feel like they belong. A UGC hub for reviews or discussion not only helps your brand win positive comments and content, it also helps your customers connect with others who have similar interests. Although you are likely to get a few doozies, such as grainy, blurry photos or reviews that are riddled with typos and grammatical errors, UGC doesn’t have to mean low quality. In fact, if you play your cards right, you can pretty much guarantee that you get high-quality, top-notch submissions from users. How? One thing to do is promote the best UGC you receive. Thank the people who send you those blurry photos or typo-full posts, but don’t put them up on your home page or social media profiles. If you highlight the best of the best, but are still gracious about the lower-quality stuff you get, you’ll attract submissions from all over the quality spectrum. 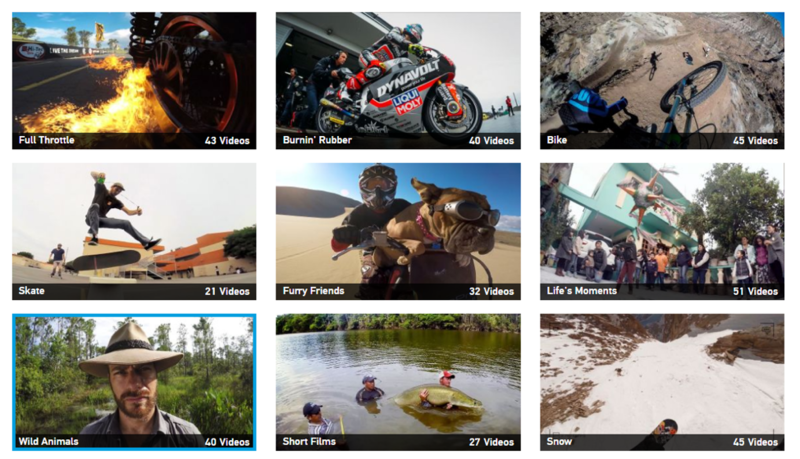 GoPro might be the ultimate UGC success story. The camera company tapped into UGC by giving its helmet cameras to a number of athletes. The athletes wore the cameras while doing what they do best, and GoPro ended up with hours of usable content. According to Fast Company, thanks to its UGC strategy, the brand spent just $50,000 on marketing while doubling its net income between 2010 and 2011. Another way to get people to create UCG is to give them a hashtag and let them snap away. 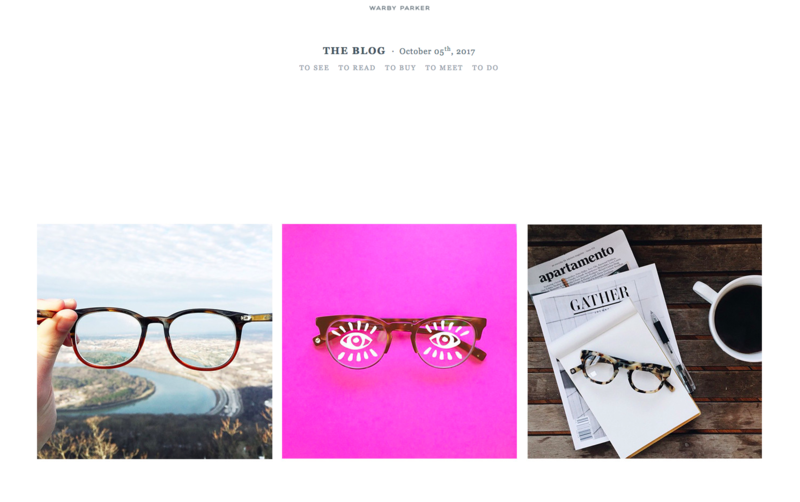 Glasses company Warby Parker encourages customers to tag the company in Instagram photos featuring its spectacles. It then rounds up the best of the best for the month and showcases them in a blog post. The white cup you get when you buy a coffee at Starbucks — boring or blank canvas? 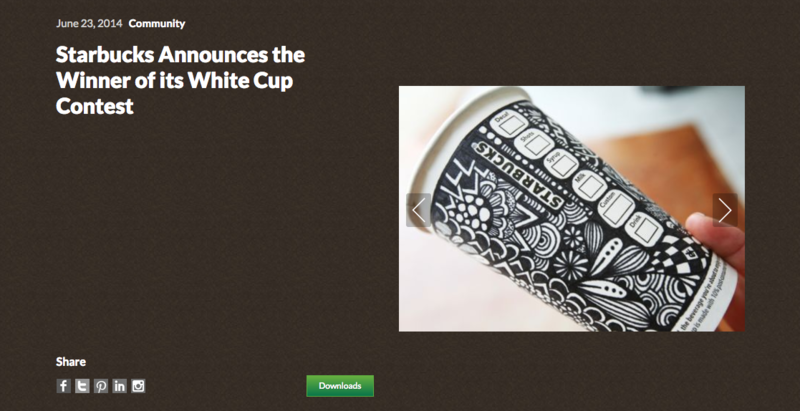 For its 2014 White Cup contest, Starbucks hoped you’d see it as a blank canvas. Thousands did, and the coffee company received 4,000 submissions of user-generated coffee cup art over the course of three weeks. Four thousand submissions — now that’s a lot of fodder on Instagram.